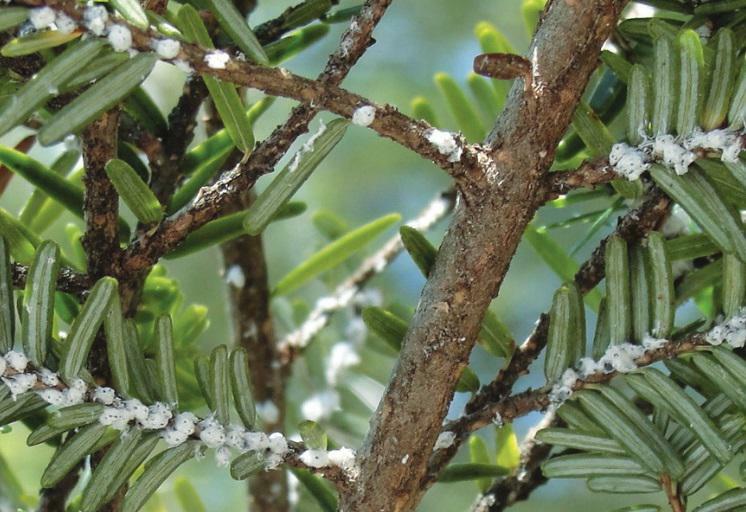 Hemlock trees in Connecticut have been having a tough go of it thanks, in part, to a small sap-sucking insect: the hemlock woolly adelgid. But cold weather could provide the trees with some relief. First identified in Connecticut in the 1980s, this invasive Japanese insect eats through conifer trees and has contributed to die offs of native conifers like the Eastern hemlock. But Carole Cheah with the Connecticut Agricultural Experiment Station said something might finally be causing adelgids to die off: all this cold weather. For years, Cheah’s been going out to look for adelgids all over Connecticut. Woolly adelgids are active during more mild parts of the season, when temperatures are in the 30-to-40-degree Fahrenheit range. But through years of sampling, Cheah said she’s found extreme winter temperature drops (at least -11 F in the northwest corner, -8 F in central Connecticut, or -6 F along the shore) are killing massive numbers (more than 90 percent) of adelgid populations. So are successive days of sub-zero temperatures. But Cheah cautioned it’s a tempered optimism. Hemlocks are susceptible to drought, which notably impacted the state in 2016 and 2017. Cheah also said increased snowfalls could actually insulate surviving adelgids, helping them to ride out extreme winter weather. Meanwhile, northwestern adelgid populations appear to be developing some cold-resistance, and urban “heat islands” could warm up adelgids in more developed portions of the state. Then there’s another, more cold-tolerant, insect, which may be taking the adlegid’s place: the elongate hemlock scale. 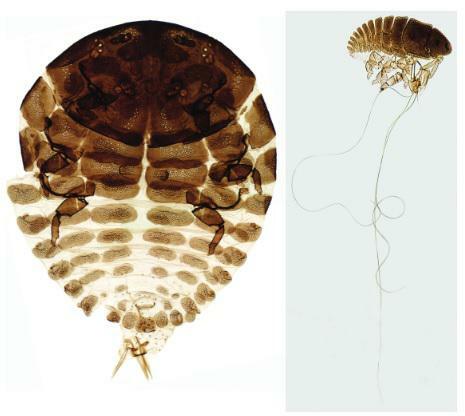 Slide-mounted HWA adult (left) and developing HWA (right). Hemlock woolly adelgid on an eastern hemlock tree.